Tammy O'Rourke's impressive career extends over 20 years, inspiring clients with her talented and creative approach to interior design. As a GliddenSpina partner and Director Of Interior Design, Tammy has become an expert at helping clients discover exactly what they are looking for in their built environment resulting in innovative workspaces uniquely suited to their corporate culture. Her attention to detail, exquisite taste, boundless energy and disciplined project management skills consistently produce exceptional design results and very happy clients. A graduate of the University of Tennessee with a Bachelor of Science in Interior Design, Tammy joined GliddenSpina in 1992. Over the past 24 years with GliddenSpina, Tammy has had the opportunity to complete a range of corporate interiors including several Northern Trust Banks and Wells Fargo Headquarters. Additional clients include FTI, Slim Fast Company, Mercedes-Benz, Harley Davidson, and Del Frisco's Grille. She has been the recipient of many awards from The International Interior Design Association (IIDA) and American Institute of Architects (AIA), most recently winning the American Society of Interior Designers (ASID) Design Excellence Award for Commercial Renovation. Not only an excellent project designer, Tammy understands the importance of deadlines, budgets and execution. As a result, she enjoys a great working relationship with all of her commercial clients. This rapport has led to numerous opportunities for Tammy to extend her commercial reach and design high end private residences. In addition to being a Florida Licensed Interior Designer, Tammy is very involved in the design community. She is a Leadership in Energy & Environmental Design (LEED) Accredited Professional; an Ambassador for the National Council for Interior Design Qualification; a member of the International Interior Design Association (IIDA); member of American Society of Interior Designers; and a member of U.S. Green Building Council (USGBC). Tammy appreciates the importance of giving back and volunteers her time as well as professional expertise. She is currently serving on the World Leaders Group Committee and is a member of Leadership West Palm Beach, Class of 2016. 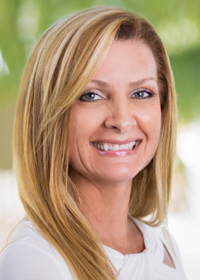 She has served as Chairman and Vice Chairman of the School Advisory Committee for Jupiter Middle School; Assistant Volleyball Coach for Jupiter Tequesta Athletic Association (JTAA); and served on the Beautification Committee for the Town of Jupiter. Tammy lives in Jupiter with her husband Curt and their two teenage children. When she is not at work she is watching her children play sports, boating, and spending time with her extended family, always with an eye on inspiration for her next design project.